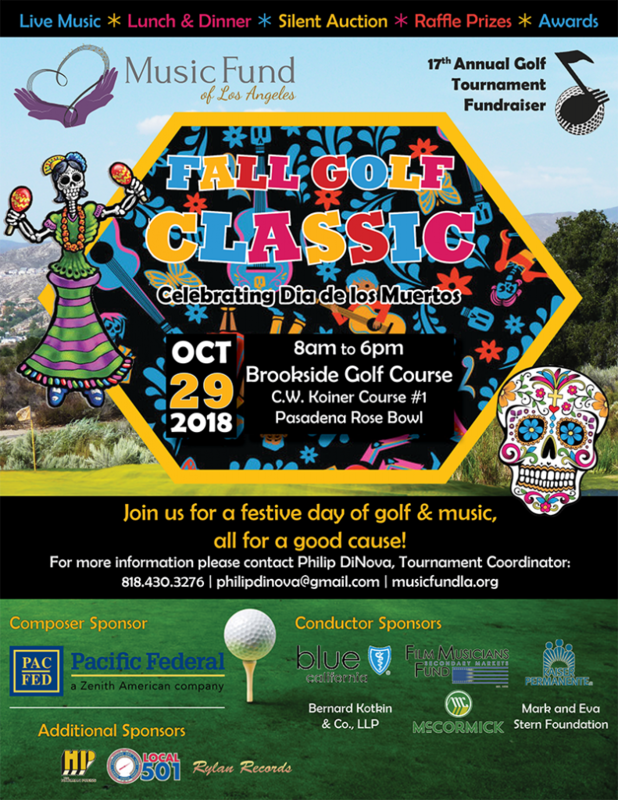 Join us on Monday, October 29, 2018, for a festive day of golf & music — all for a good cause! 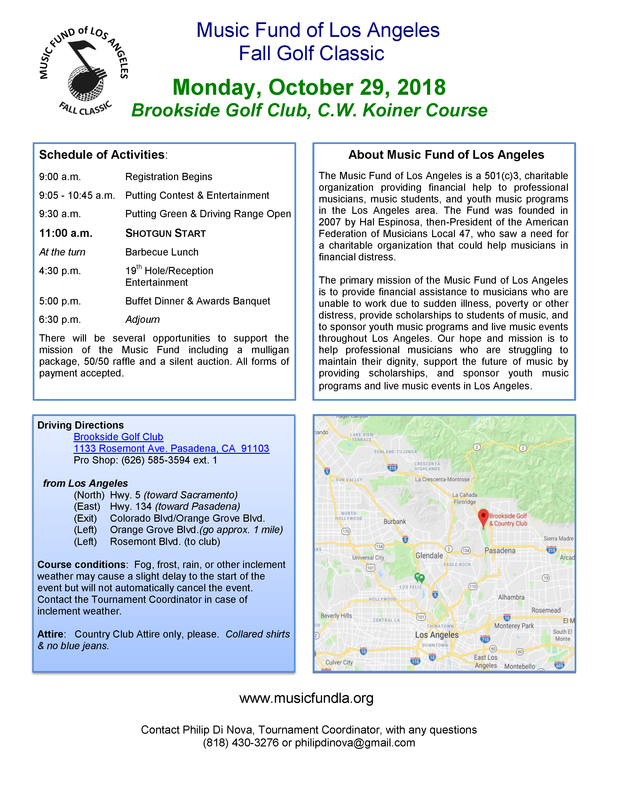 The annual Music Fund Fall Classic Golf Tournament is our biggest fundraising event of the year. All funds from the tournament, now in its 17th year, will be used to assist musicians in a serious financial crisis. Donations and contributions are tax-deductible. Many thanks to all of our generous sponsors. 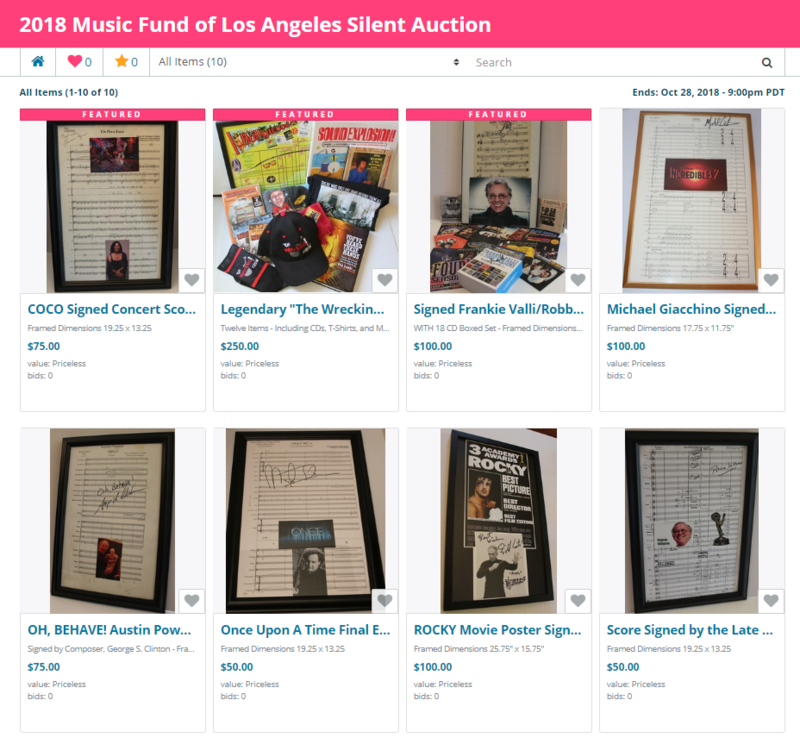 Silent Auction Pre-Bidding is Now OPEN!